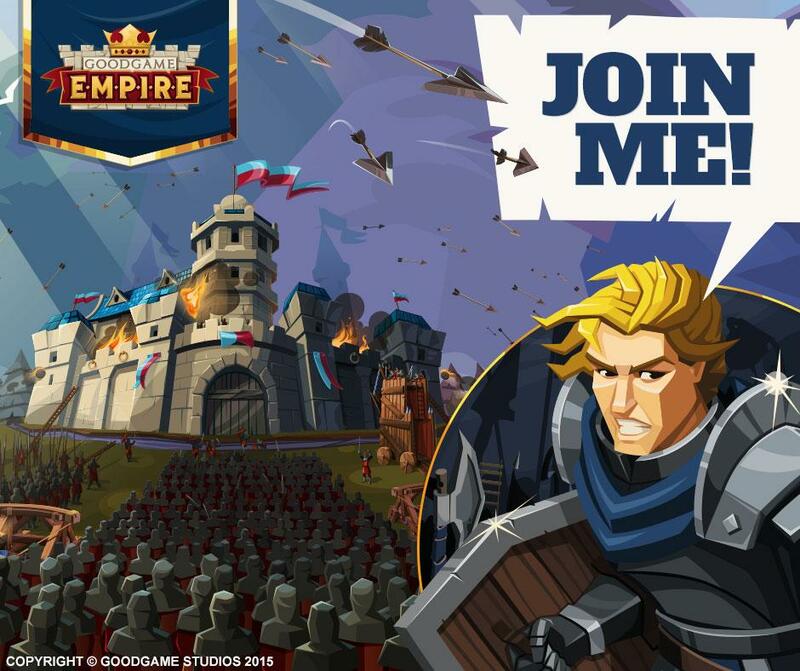 Crush your enemies with your mighty forces in this impressive, award-winning and free-to-play MMORTS game, Goodgame Empire! 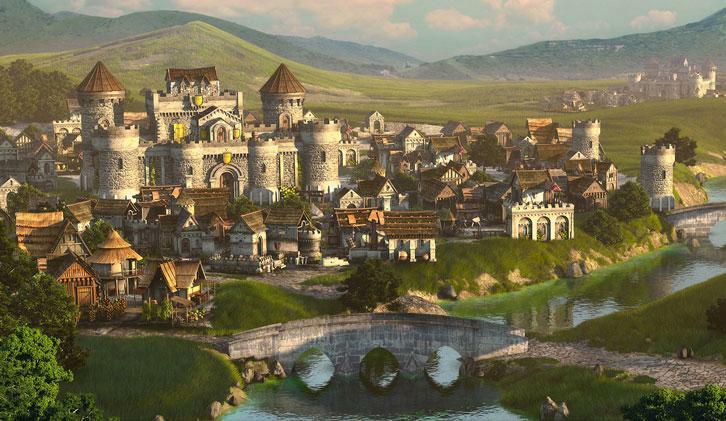 Build your very own medieval kingdom from ground up on your browser! Establish an efficient economic and resource production system, as well as assemble your army to defend your castle and to expand the influences of your empire! Don’t forget to forge strong ties with like-minded players via alliances in order to go about dominating others while having someone to guard your back in this game. 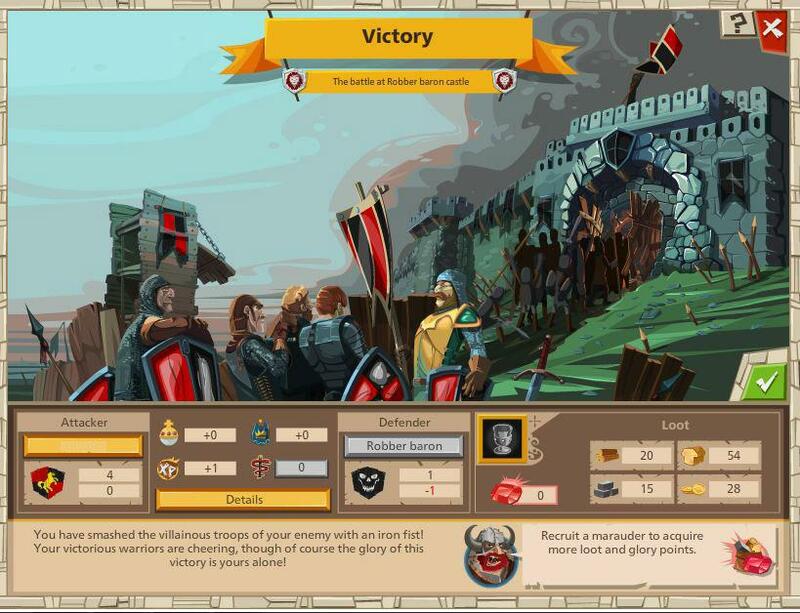 Sign up to play this fun-filled online strategy game, Goodgame Empire, and establish your regime today! Welcome to your castle, noble lord! 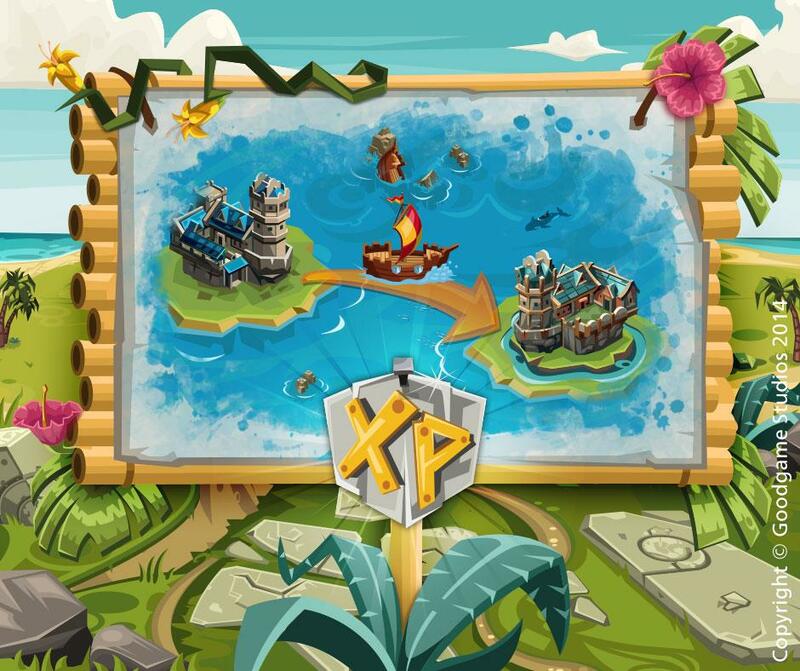 Building a mighty empire is definitely no simple task, but with the help from your trusty advisers, you will surely overcome this challenge with ease. For players who had no prior experience with games of the same genre, the game provides a very comprehensive tutorial to guide them through the basics. To start your path to building a mighty empire, you’ll first need to establish a stable economy! 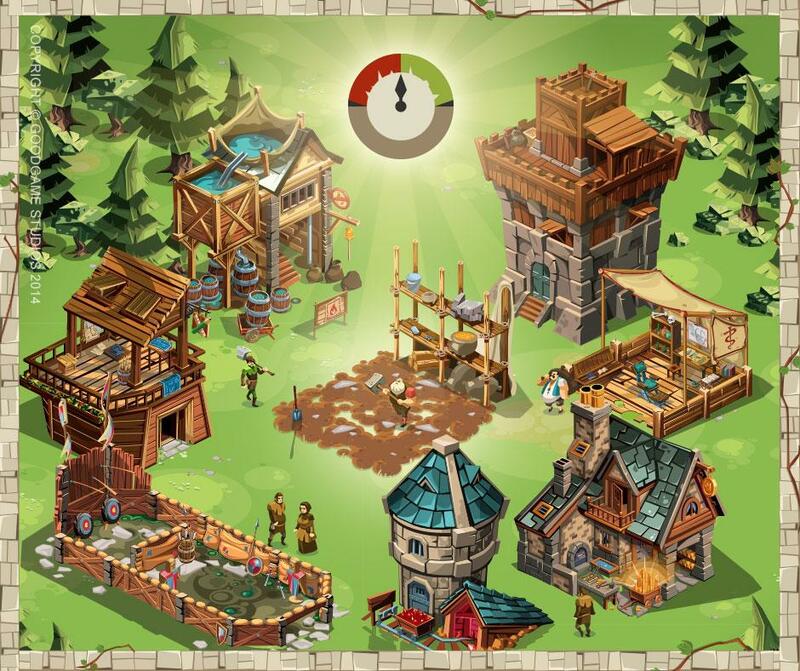 You will need resources to upgrade your castle and these are produced in production buildings, namely woodcutter, stone quarry and farmhouses. Each building produces a certain amount of resources per hour and you can upgrade them to increase that part where it says ‘certain’. Among all these resources, food is and should be your top priority. This is because your soldiers will starve if you run out of food and that is a surefire way to get them to desert, leaving your castle defenseless. Thus, always ensure that you produce more food than your soldiers consume. Furthermore, don’t forget to build a storehouse to have enough space to store your resources. If you run out of space, production will be halted and you’ll be losing out on a whole bunch of resources that you can’t spare to lose. There’s also a building, called the hideout, which you can build later on to protect some of your resources from being stolen by the enemy. However, once their taxes are paid, your loyal subjects will have certain expectations that must be fulfilled, so that you won’t have a riot, or worse, a revolution, on your hands! Every time you build a new dwelling, the public order in your empire will decrease. In order to bring it back up again, you’ll need to buy decorative items to keep your citizens happy and content. Moreover, these décor will even increase the production of resources in your empire too, so be sure to purchase plenty of these decorative items! If you think you have an empire by now, well, just take a really good look at your non-existent defense! If it’s not because of the invulnerability bubble, your little “town” would already have been bulldozed to the ground even by a 1-man army. We need protection, that’s for certain! Therefore, start ramping up your castle defense by setting up your fortifications and upgrading your towers, in order to increase the number of soldiers that can be posted on the castle wall. You’ll then need troops to man those brand new fortifications, but first, you’ll need a barracks. Once it’s done, you’ll be able to select the soldiers that you want to build, such as the basic spearman and maceman, as well as the number of units you need at the recruitment menu. Level your empire up to unlock more variety and much more powerful units! Your soldiers will need tools, like rocks to be hurled at the enemy from your castle walls, to provide a significant advantage in battle to help them defend against any incoming forces! You can commission these tools to be built in the defense workshop. All done? Great! It’s time to plan your defense then! Your soldiers will be deployed along 3 sides of your castle wall in times of war and you’ll need to set the number of soldiers you would like to have on each side of the wall. Usually, people would place the bulk of the army in the middle in order to defend the gates, with around 25% of the remaining troops on the remaining parts of the walls. 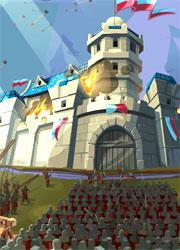 You can also place defensive tools into the castle wall slot to help your soldiers better defend your castle! Don’t forget to build a guardhouse to increase the number of city guards in your castle as well! Running out of space? Well, this is no surprise, considering that you are given very limited space initially in Goodgame Empire. Don’t worry though - You can easily expand your land if you have the sufficient resources! What you’ll need to do is to just open build menu and select the direction in which you want to expand – North, South, East or West. Thankfully, you won’t need to rebuild or spend any extra costs to expand your defensive walls to accommodate your increased land! WHAT?! A band of bandits dared to attack your farmers and kidnapped one of the children in the village? You can’t possibly let that slide; you have a reputation to uphold! Time to go on the offensive! To attack other players or bandits in this game, you’ll first need to have an encampment to recruit capable commanders to command your army! Every army you deploy will need a commander to lead it – your soldiers may have the brute strength, but they certainly don’t have the brains that your commanders have. Similarly to defense, you’ll need tools, which will significantly give your army a leg’s up, to attack. You can build these siege tools at the siege workshop. You can also boost up your commander’s strength in combat by equipping him with gear that you can obtain from winning in battles. You can even forge these equipment into new and better quality gear items too! Ready for combat? Awesome, let’s get the bloodshed started! Once you've waged war against an enemy castle, you’ll get to see the layout of your enemy’s castle. Position your army strategically in order to hit the weakest part of the walls the hardest! Furthermore, having a variety of units in your army helps too! This is particularly true for the sneaky agents, who can help you scout out more information on the enemy’s defenses. They are invaluable to any invading army! Don’t forget to build stables and stock it up with the best horse breeds that you can find! With horses, your army can cover larger distances much more quickly, allowing you to invade castles or outposts that are far from your castle! Outposts are resource-producing centers that you can claim in order to expand your empire (only available at level 13). You’ll need to appoint your best commanders as castellans for these outposts too. You can even build castles on these outposts to truly convert it into a stronghold for your troops. 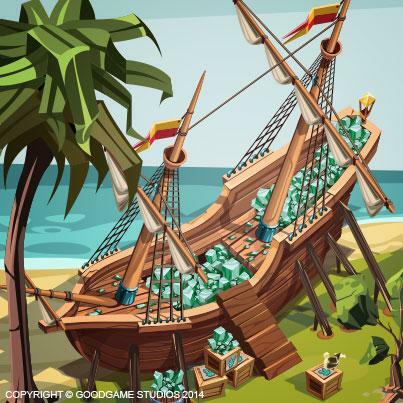 There are plenty of things to do in Goodgame Empire that you’ll just need to find out for yourself! They include creating your own coat of arms, which will appear on your buildings and on your soldiers’ uniforms; research tree; as well as quests and interesting little scenarios, whereby you’ll have to showcase your skills as the leader of an empire by settling problems among your subjects – like choosing to execute a thief (costs you a bit of money) or release him (you’ll gain some money). Being a small kingdom at first, you’ll definitely need a lot of “someones” to have your back. This is where the benefits of being in an alliance truly shine! Be sure to sign up for one as soon as you can! You can also head over to Goodgame Empire’s Facebook fan page or its forums to meet your fellow players. Who knows? Maybe you can forge some sort of a deal with several of like-minded players to band up and coordinate your attacks. Your alliance will then be really invincible! The game boasts of have impressive visuals, just take a look at its awesome-looking cartoony graphics! Furthermore, the music in Goodgame Empire is very “Lord of the Rings”-worthy. It’s not sure why the music in this game brings this fantastic series to mind, but it does… somehow. The epic soundtrack is very inspirational and showcases its fantasy medieval theme perfectly. Overall, the game gets a two-thumbs-up for both graphics and sound! 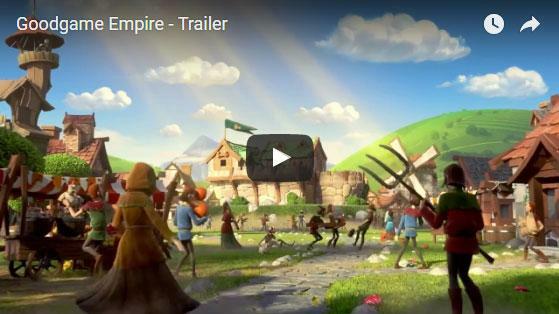 Take up the mantle of being the lord of the castle in this exciting MMO strategy game, Goodgame Empire! In this game, you’ll need to recruit soldiers to your cause, build up your castle’s defenses as well as to establish a stable economy to feed and fund your swelling army! Crush every player and bandit king that dared to stand in your path of conquest as you relentlessly forged onwards to glory! Who knows? Your empire may just turn out to be a great as the massive real life empires of old! Play Goodgame Empire now to find out!